For most property owners, the process of hiring a home improvement contractor is a stressful, intimidating and perhaps even scary prospect. That certainly isn’t surprising. It is natural to have anxiety about choosing someone with whom you will entrust your home and your money. Your home is, after all, probably the most important thing you own—not just in terms of financial worth, but also when it comes to emotional and sentimental value. Looking for a reliable and trustworthy contractor can be time-consuming and require a lot of work. Going through this process once is exhausting enough. You don’t want to have to repeat the entire routine again in the future each time you need another home renovation project done on your property. That’s why the ultimate goal should be to look for a home improvement company once, find one that you like, and then continue to hire them again on a repeated basis for any additional work you may need done. That will save you considerable time, energy and stress, as you will automatically know that you already have someone you can call to handle the work for you whenever you have a project that needs to be done. You will be able to focus on planning the details of that particular project, as opposed to worrying about how to find someone reliable that you can trust to do the job right, on time and within budget. It may take some time and effort to get to that point, though. This situation won’t happen by magic, and likely won’t be an immediate thing. You will first need to locate the perfect home improvement contractor, and then will need to establish a good rapport with them and their representative with whom you will be interacting. As with any other type of professional relationship, your interaction with your home remodeling contractor will be much more productive, successful and rewarding (for both parties) if you can establish and maintain a positive environment that allows you to enjoy working together. Ideally, this should be a collaboration, a back-and-forth sharing of ideas and ongoing brainstorming in which you encourage each other to think creatively and employ imaginative techniques that achieve a final result that exceeds your initial expectations. 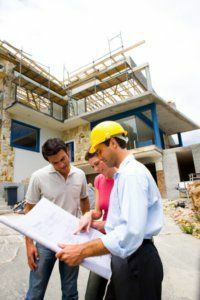 Good communication will play a critical role in helping you to establish this positive and productive relationship with your home renovation contractor. You each must feel comfortable about openly sharing your ideas and opinions. One-sided interactions rarely achieve the best results. If one person is doing all of the talking or just giving orders, that deprives the other party of the opportunity to share their input, ideas and expertise. In the end, this shortchanges both sides. Instead, by establishing a partnership in which both parties offer ideas and input, and then the best of those options are put together in an atmosphere of support and encouragement, the odds are greatly increased that the end result will be totally unique and infused with creative energy. In the case of a home improvement contractor, this allows them to share valuable insight and expertise developed from years of experience in the field. They can also tap the considerable wisdom of their designers and other team members. Of course, trust is also a crucial element in any type of professional relationship. You want to feel comfortable entrusting the contractor with your property and your money. It can take time to reach a level of complete trust, as your contractor (or any other professional with whom you work) will likely need to prove that they are someone upon whom you can rely. However, you also need to do your part. You want to show the contractor that you can be trusted to be forthcoming with any questions or concerns you may have, and to be respectful of their timeline and effort. In other words, you don’t want to make sudden changes midstream once the work has started, or constantly make last-minute requests that may be difficult to implement with the established plan. If you want a Phoenix home remodeling company with whom you can establish a long-term, productive relationship, contact us to set up a meeting with our team. RW Remodeling is proud of the many long-lasting relationship we’ve established with local customers, many of whom have hired us repeatedly for multiple projects.